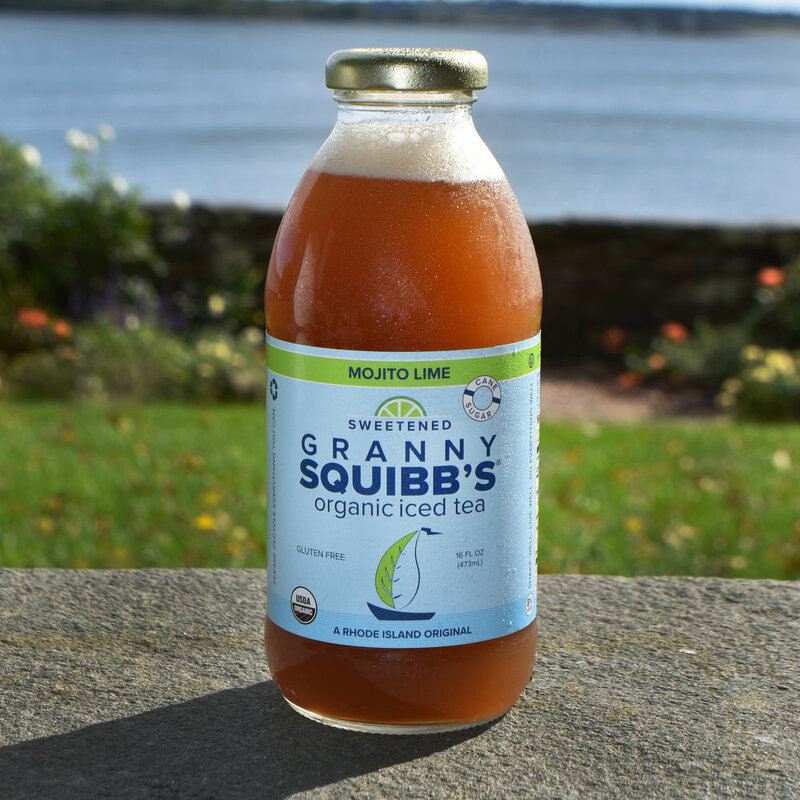 Granny Squibb’s iced teas are as “astonishingly delicious”, robust and refreshing as the home-brew Granny Squibb made years ago at our family's place overlooking Narragansett Bay in Saunderstown, Rhode Island. Today our teas are still made with the same few and familiar ingredients. They are certified USDA organic, naturally gluten free, kosher, and NON GMO. We don’t use preservatives, additives, artificial flavors or high fructose corn syrup, and our teas are bottled in sustainable glass. No wonder they taste as if they just came out of Granny’s ice box! Sally’s Lemon was formulated from Granny Squibb’s original recipe and tastes exactly like it. It even fooled family and neighbors when it was first bottled! Sally’s Lemon is loaded with lemon juice, black tea, cane sugar, and a little mint. It’s still our most popular flavor. Finally, an iced tea with no added sugar that is delicious and refreshing! 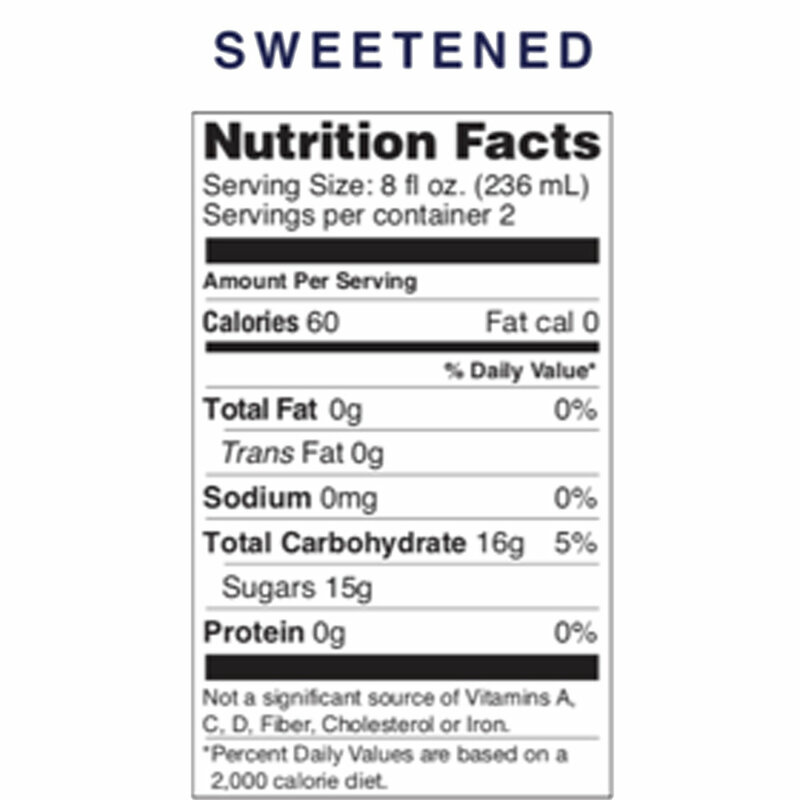 For those of you seeking iced tea with zero calories, this tea is for you. Lemon juice, black tea and a little mint. That's it! Named for Robin’s faithful hound, Charlie, our new cranberry has a distinctly New England taste that will be at home on a hot summer day or on your Thanksgiving table. We know Granny would be proud of this new recipe, and the pup it is named after. This might be our favorite flavor yet! Mojito Lime is a bold combination of lime and lemon juice, black tea, cane sugar and mint. Its unique flavor is just as delicious and refreshing as Sally’s Lemon, and true to its name, has become a popular mixer. Try it with dark rum. We call it a “Squibbwreck”. Like all of our unsweetened teas, the new Unsweetened Charlie’s Cranberry is all flavor and no calories. Did you know that cranberries are higher in antioxidants than any other fruit or berry? Healthy AND astonishingly delicious! 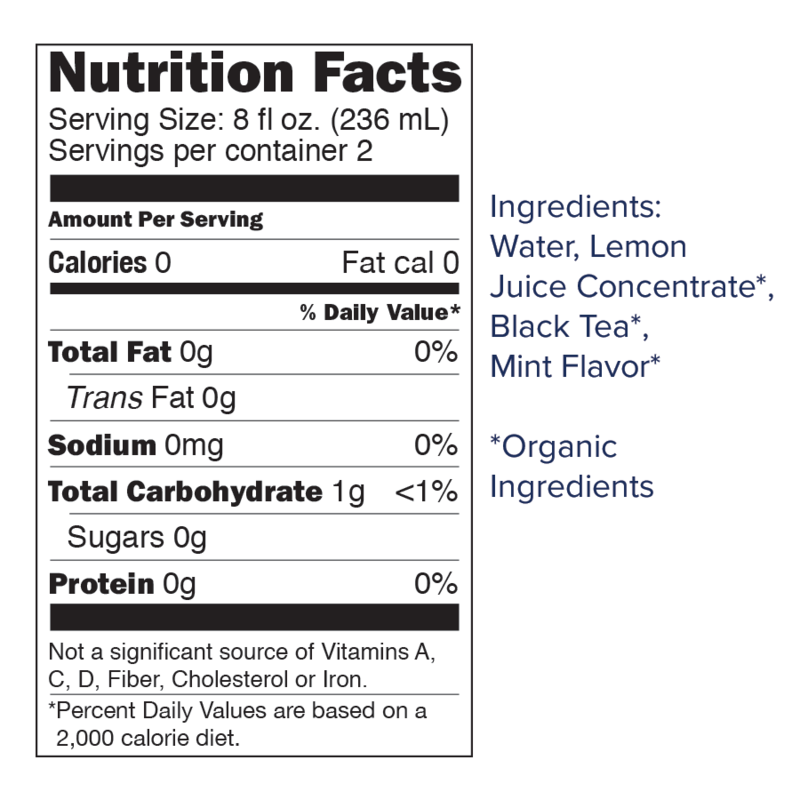 Like our unsweetened lemon tea, our Unsweetened Mojito Lime has zero calories. Lime, lemon juice, black tea, and mint. That's all it takes for a delicious pick me up. It's perfect with meals or on its own.